Was The February 7th Google Update A Google Phantom Update? As you know, we were by far the first to break the news on the February 7th Google update that seemed really big so big that I actually asked Google to confirm it which they said no comment. And when Google gives a no comment, that is where folks with lots of data come in. Glenn Gabe posted his deep analysis of this update calling this update more like the Panda algorithm or Phantom update. Note, Google never confirmed any of the Phantom update and said they won't confirm future Panda updates. So we are left thinking this is probably one of those or something new, but not related to links as I said originally but more related to content quality. Search Metrics also post analysis of this calling this the Phantom 5 update. Of course, they have no way to confirm it was Phantom because Google wouldn't comment on this February 7th update nor has Google ever called anything Phantom. Phantom, the name, I believe was made up by Glenn. The 2/7/17 update was significant and many sites saw substantial movement (either up or down). 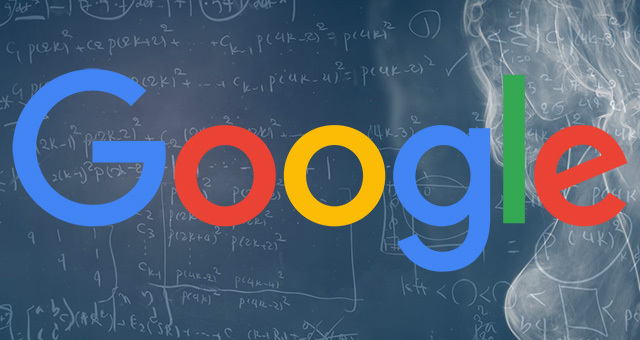 If you’ve been negatively impacted by the update, go back through my post, and my other posts about Google’s core ranking updates, to better understand what could be causing problems. Then work hard to analyze your site objectively and weed out the problems. Maintain a long-term view for improving your site quality-wise. Don’t put band-aids on the situation. Make significant changes to your site to improve quality overall. That’s how you win. Google seems to have genuine difficulty evaluating the relevance of large pages, when looking at brand and short head keywords. It looks like the parameters for measuring quality are adjusted at regular intervals, meaning that the SEO Visibility of the domains affected is subject to major fluctuations. These domains are likely less than amused if this is impacting keywords that are relevant to them and their traffic. On the other hand, it hardly makes sense for many affected companies to rank for other brand names besides their own. This might lead to a higher overall SEO Visibility, but it is unlikely to create any relevant traffic. It may be this conundrum that Google is attempting to solve. For now, we’re buckled up and looking forward to the next part of this rollercoaster ride. Will it be coming to an end any time soon? Only the Phantom knows! I strongly recommend you read both analysis, they are incredibly useful. In short, they all talk about content quality and site usability as part of this past update.